Visible Apex Probe with highest performance and consistency. 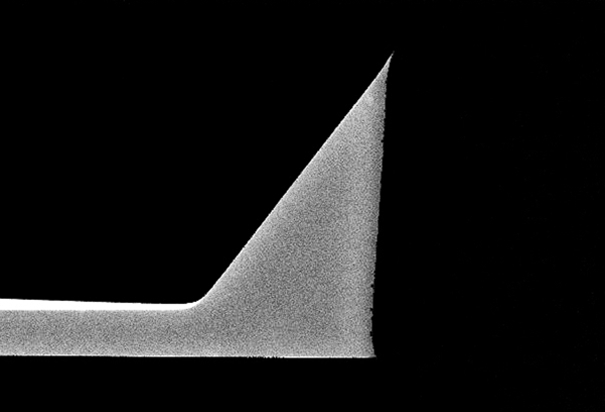 1) Visible apex tip enables AFM imaging exactly at the location targeting through the AFM optics. 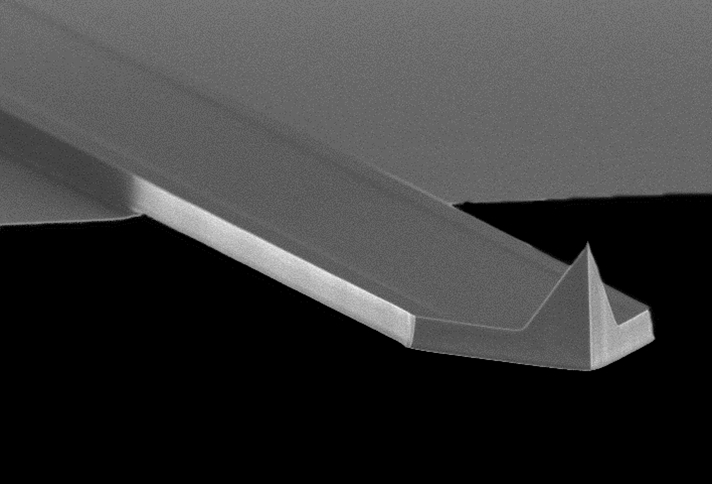 2) Attains the highest consistency in AFM measurements due to industry best probe-to-probe consistency in tip radius, tip height, spring constant, and tapping frequency. 3) Designed and optimized by Bruker, the inventor of TappingMode, to achieve the highest performance TappingMode imaging. 4) Produces accurate images of rugged features, enabled by the narrow tip angle and forward pointing tip design that effectively compensates for the forward tilt of the AFM probe holder (typically 5-20 degrees).